Colin Bundy recently retired from his post as the first Principal of Green Templeton College, University of Oxford. Previously Warden of Green College, Bundy oversaw the merger of two colleges to launch Oxford’s newest graduate college. 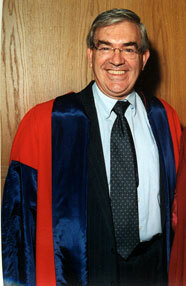 Before his Oxford experience, Bundy was Vice-Chancellor of the University of the Witwatersrand and Principal of the School of Oriental and African Studies, University of London. After undergraduate degrees in South Africa, Bundy went to Oxford as a Rhodes Scholar. He was awarded an M Phil in American history and a D Phil on South African rural history. He subsequently taught in the UK and in South Africa, until in 1994 he fell amongst administrators, and served as Vice-Rector at UWC before moving as Vice-Chancellor to the University of the Witwatersrand in 1997. He was a member of a generation of historians whose work substantially reinterpreted South African history. Best known for his Rise and Fall of a South African Peasantry, he has written extensively on South African history and politics. In recent years Professor Bundy has written on aspects of higher education. Colin Bundy’s public service in South Africa included chairing the UNESCO National Commission; being a member of the Council of the Robben Island Museum and of the Board of the HSRC; and chairing the board of the Workers College in Cape Town. In the UK he served as a member of the Commonwealth Scholarships Commission and is a trustee of the Canon Collins Trust. Locally, he is President of the Oxford Centre of the National Trust and the Oxford branch of the Royal Commonwealth Society.